Bankruptcy Lawyer Bakersfield | STUDENT LOANS | You invested in your future by receiving a college education. But sometimes, those investments don’t immediately pay off. Finding the job of your dreams can be difficult in a challenging economy. And with the cost of higher education rising steadily, it is likely that you left school not only with a degree but also student loan debt. You are not alone. Student loan debt has skyrocketed to critical levels and as of December 2014, total outstanding student loans exceeded $1.2 trillion dollars. Unfortunately, the government doesn’t wait to collect on what you owe based on your ability to pay it back. One in three Americans who are now faced with paying back their student loans are at least one month behind on their payments and delinquencies on student loan repayment are far higher than other forms of consumer credit including auto loans, credit cards and mortgages. Are you facing any of the following situations due to your student loan burden? If you are struggling to repay your federal or private student loan debt and are overwhelmed by your current situation, knowledgeable Bakersfield debt attorney Max Gardner can help. Will filing for bankruptcy in Bakersfield help with my student loan debt? If you are struggling with debt, sometimes bankruptcy is the best option. You have probably heard that discharging a student loan through bankruptcy is nearly impossible. That’s true, it is. 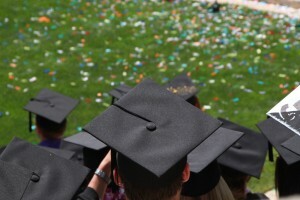 In most cases, student loans cannot be discharged through bankruptcy. There is, however, one way that a debtor can potentially eliminate student loan debt during bankruptcy. First, you must show that, based on your current income and expenses, you are unable to maintain a minimal standard of living. Next, you must prove that your financial situation is likely to persist. In other words, this financial situation is not new and likely to continue for a significant portion of the time you would be required to pay your loan. Finally, a debtor hoping to discharge his or her student loans would need to show that they have made a good faith effort to repay the student loans. While discharging student loan debt through bankruptcy is extremely difficult, it is not impossible. A debtor that clearly meets the undue hardship criteria may find that they can eliminate student loan debt by filing for bankruptcy. In fact, many judges see cases where debtors meet the requirements for an undue hardship exemption, however, they have not sought to discharge student loan debt through bankruptcy. Due to the judge’s position, they are unable to advise the client of their options. This is why you need strong legal representation. A knowledgeable Bakersfield bankruptcy attorney can inform you of your options before a judge sees your case. When the majority of your debt is student loans, bankruptcy is often not a viable solution. However, sometimes bankruptcy can enable you to discharge other debt to allow you to focus on making payments on your student loan. Either way, it is important to consult with a Bankruptcy attorney with knowledge about private student loans and federal student loans. Max Gardner is a Certified Specialist in Bankruptcy Law by the State Bar of California and has over 25 years of experience in handling complicated debt matters, including private and federal Student Loans. Max is committed to helping you navigate the complex world of student loan debt and find a resolution that works for you and your budget.